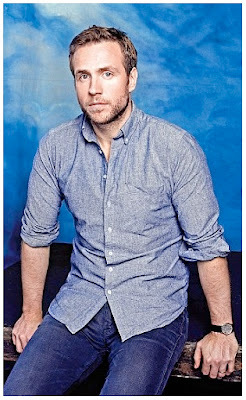 We're all British this Friday, my spylings, starting with the casting news coming from the pre production of JURASSIC WORLD 2 which has just added two British thespians, our most beloved Rafe Spall, and Toby Jones, into the cast which is again going to be headlined by Bryce Dallas Howard (I hear she won't be wearing high heels in the middle of a jungle this time) and America's favourite Chris Pratt. With B.D. Wong reprising his role of Dr. Henry Wu from the previous instalment, JURASSIC WORLD 2 will also have Justice Smith coming aboard! Not much is known about the story so far, except that it won't be set in the Isla Nublar Dinosaur park and that it might have dinosaurs equipped with weapons! Yep, you read it right! Directed by J.A. Bayona it should storm cinemas summer 2018! 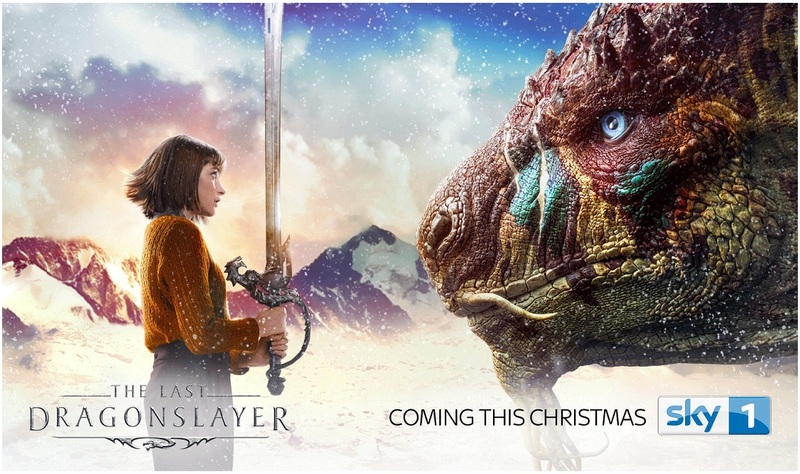 Last Sunday I showed you the teaser, but now British Sky One has released a longer trailer for their new epic TV movie THE LAST DRAGONSLAYER which will air this Christmas afternoon! 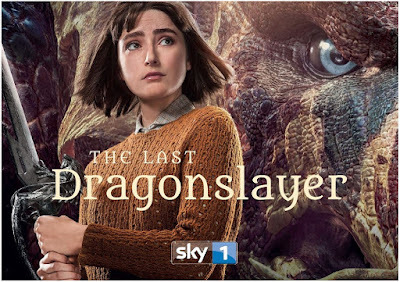 An adaptation of Jasper Fforde's book is a mix of real and fantasy world following an orphan who discovers her destiny is to become the last Dragonslayer! Pauline Collins, Matt Berry, little Ellise Chappell and John Bradley all star together with our beloved Andrew Buchan as the wizard. Richard E. Grant is lending his voice to the dragon Maltcaisson! 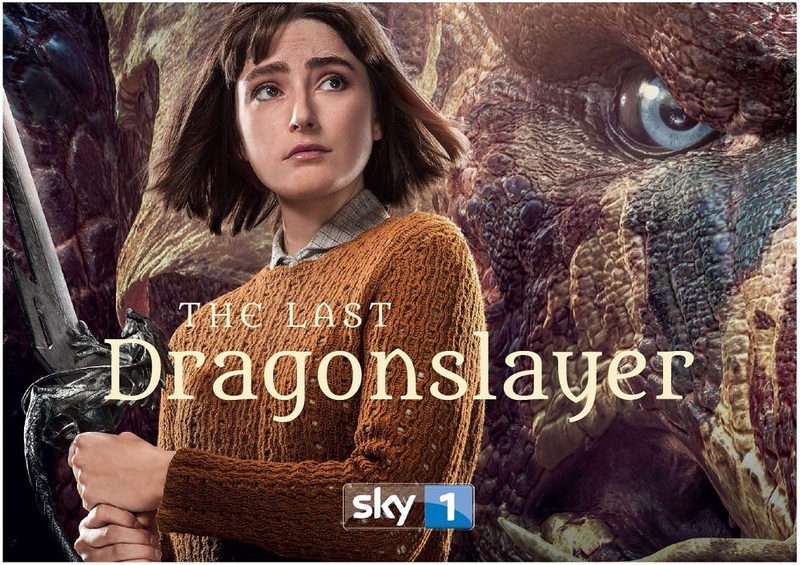 The Last Dragon slayer looks interesting. I wonder if the dragon slayer and the dragon will become friends. I haven't seen the first Jurassic World. But- I am most interested in seeing Dragon Slayer. Please! No more Jurassic World. The first one was bad enough. Let's move on to something more original! I haven't seen it myself, I'm still waiting for them to adapt DINOSAUR LORDS epic book saga! Why in the world would somebody feel the need to make Jurassic World 2? The Last Dragon Slayer might be pretty good. As always, thanks for great info DEZ! More dino dropping! We all need them. why do you remember these scenes?